In its simplest terms, alimony is spousal financial support. This is not necessarily an automatic thing. It is different than child support or splitting property or debt or other assets. A judge will determine alimony only after the requesting party has officially requested it, and if certain circumstances exist. The couple’s standard of living at the time of separation is the guiding principle of how much, if any, alimony is awarded the requesting party. Usually, both individuals are unable to maintain this standard of living they enjoyed at the time of separation, so a requestor will usually have to prove his or her case with the help of a trusted and competent attorney. If one spouse paid for another spouse’s schooling or training. Upon clarifying these factors, an amount will be decided upon by the judge. It is difficult to say how much alimony will be awarded every month. A reasonable award should be enough to cover reasonable expenses, but income or imputed income of the recipient spouse will be factored in. Alimony is generally available to the requesting spouse only for as long as the couple was married. For example, if wife and husband were married for ten years, alimony would generally only be paid for a maximum of ten years. Alimony payments will also be terminated if the requesting individual begins to cohabitate with someone else, or remarries, or extenuating circumstances require equitable treatment. Age of recipient spouse can also be taken into account..
For all of your questions and concerns about divorce and family law, contact the professionals at the Huntsman Firm. R. Clayton Huntsman focuses exclusively on family law, and has practiced law for over 37 years. Material and substantial changes in circumstances. If there has been a material and substantial change in the life of either the child or one or both of the parents, then a court may so find.. These changes can range from a new job, religious change, one of the parents getting remarried, or a drastic change in health on either the part of the child or the parent. Also, when a child is 14 years old in Utah, the court will give added weight to the preference of that child. However, just because one or more material and substantial changes in circumstances have been made, there is no obligation on the court to change the custody arrangement. If a party can prove that a substantial change in the life of the child has taken place, then a court will decide if the proposed change will be in the child’s best interests. But “best interests” can be somewhat subjective. It is not unusual for both parents to claim the best interests of the child or children can only be with the parent asserting it. If you are able to show there has been a substantial and material (i.e., “important”) change in circumstances, and that the proposed parenting plan is in the child’s best interest, the court will be more likely to modify. For all your needs and questions regarding divorce, parentage, custody, and other family law issues, contact the Huntsman Firm. If you are caught in a violent relationship, your first priority should be to get yourself and your children to safety. To be safe from harm, you need to find housing somewhere the abuser can’t find you, whether it’s a women’s shelter, a hotel or the home of a friend the abuser doesn’t know. Never go to your parents’ house or to stay with a close friend, because he can find you there. The majority of battered spouses or partners are women, but if you are a battered man, the same advice applies to you. Sometimes you have time to plan and you can put aside cash, preferably somewhere other than your house. Leave clothes and other important items with a friend in case you need to leave the house quickly. Document every incident of physical or emotional abuse in your household, whether it involves you or your kids. The National Coalition Against Domestic Violence recommends that you make a list of safe people to contact, memorize phone numbers of people or places to call for help, keep change and cash with you at all times and establish a code word to alert others for help without alerting the abuser. You should also take important papers with you, such as your credit cards and checkbook, social security cards, birth certificates, copies of deeds, proof of income, copies of bank or credit card statements and any documentation that proves past abuse. If you share legal custody of your children with an abusive spouse or partner, you need to make arrangement for neutral pickup sites or for others to pick up and drop off your kids. If you have sole custody of your children, but the judge has ordered some type of visitation rights, ask for conditions to be placed on that right. Consider a restraining order if you don’t think it’s safe to be in the same place as your spouse, and in extreme cases, ask the court to appoint a visitation supervision monitor. A divorce is a difficult experience no matter who asks for it. During this emotional crisis, you may want to hide, but there are important steps you need to take if you want to secure your financial future. Divorce always involves a large amount of upheaval, so it’s only natural to feel overwhelmed. If you want to save yourself grief later on, get your finances in order as you prepare for divorce. You immediately need to gather all of your financial records, including bank account information, mortgage statements, credit card bills, wills and trusts. Make copies of all these documents and find a secure place to store them. Never keep these records in your home. Leave them with a reliable friend/family member or use a safe deposit box that your husband can’t access. It’s possible that your husband controls all the access to family funds, so he can make it difficult for you hire the divorce team that you need. Many husbands often cut off the money supply and force women to sign divorce settlement agreements that are in his favor. Make sure there are secure funds available only to you to avoid this. Go to a different bank than the one where you have joint accounts. Open a new checking and savings account in your name. The divorce attorney may tell you to withdraw nearly half of your joint funds and deposit them in your new accounts. Open a new credit card account in your name, but keep in mind that establishing credit on your own will be difficult if you have little or no income. If you keep an eye on your credit report you’ll know if your husband is charging purchases to your joint credit cards. He might also be dissipating marital assets in another way. This also allows you to keep tabs on your credit score. After you hire a divorce team and open new accounts, you want to keep mail confidential. Open a post office box of your own and you’ll never have to worry about your husband reading your mail. Make sure this box is secure, locked and only accessible by you. Due to historical gender roles where women were considered the primary caregiver, it is still most common for mothers to be granted primary custody instead of fathers. 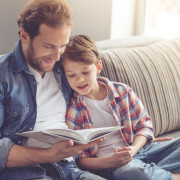 This gender bias often leaves many caring and involved fathers disconnected from their children. If you are a father going through a divorce, you should know that you have natural rights and responsibilities regarding your children during and after divorce. These rights do not need to be court ordered, they are guaranteed by the United States constitution and the laws of your individual state from the moment you became a father. You have the same legal rights as your child’s mother before and during the divorce. As a father you have the right to stay in the home you share with your children. You also have the legal right to refuse to allow their mother to remove them from the home. No matter what your ex-wife wants, your right to father your children is constitutionally protected. In the United States, there are two parts to custody: physical and legal. Physical custody refers to where the children physically live and legal custody refers to the parent having the right to make important decisions about the child. Unless there is violence in the family, the child has special needs, the parents live far apart or there is another extenuating circumstance relevant, joint custody is presumed to be in the best interest of the child. A child custody agreement is legally binding and demands that both parents share the child according to the terms of that agreement. However, there are cases when someone might want to modify child custody in the best interest of the child’s safety and well-being. 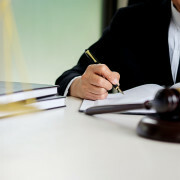 The court will typically only change a custody agreement if something dramatically different is happening with one parent, referred to as a “material change in circumstances.” Material changes include a long-distance move, change in living conditions, change in the environment or a change in the parent’s ability to provide a decent home and good care for the child. A specific example of a material change that would warrant custody modification: The primary parent was completely fit to provide care during the time of the original agreement, but has since developed an addiction to drugs or alcohol which inhibits them from caring for the child properly. The court usually considers it best for children to have consistency, and for this reason, most will not make a change within a certain time frame of the creation of the original agreement. The waiting period will vary by each state, but one to two years is most common. Of course, if a child is in imminent danger the process will be sped up so they can be safely relocated to a responsible caregiver. Will joint legal custody or joint physical custody be better for the child’s physical, psychological and emotional needs? Which parent has the better ability to give first priority to the child’s welfare? Are the parents able to reach shared decisions in the child’s best interest? Can both parents encourage and accept a positive relationship between the child and other parent? What is the distance between the parents’ homes? What are the child’s preferences? Are the parents mature and willing enough to protect the child from their own conflict? Can parents cooperate with each other and make joint decisions? Is there any history or future potential of child abuse, spousal abuse or kidnapping? Raising a child with special needs requires patience, love and of course, money. While raising children in 2016 is expensive by default (approximately $245,340 from birth until age 18} the cost of raising a special needs child can often quadruple those expenses. Doctors’ visits, hospitalization, medical equipment, therapy, special education, medications, caregivers– these costs add up to hundreds of thousands, and sometimes millions, of dollars. This financial stress often puts serious strain on a marriage and as a result, parents of special needs children have a higher divorce rate than the overall population. Divorce is already a complicated situation when there are children involved. Adding a special needs child into the mix creates an even more delicate situation. Custody decisions must be made completely based upon what is best for the child, and there are various factors you should consider when faced with this choice. Parents often disagree about how to raise children and address their needs. With a special needs child, it is even more essential to come to an agreement quickly. Determine where the areas of disagreement are in order to properly address the future needs and care of the child as part of the divorce case. The severity of disabilities can vary greatly. When a case is extreme, there is no debate whether or not the child will need continuing support as an adult. Child support will be continued indefinitely in this case. However, you cannot always determine whether the child needs support beyond high school. If the court does not recognize the need for permanent support then the burden will be on the primary caregiver. When an adult disabled child needs support beyond the lives of their parents it increases expenses and creates unique challenges. Whichever party receives full custody is going to know more about the child’s disability. If you are sharing custody, it is vital to educate your ex-spouse on the daily care of your child. You need to spell out all the essential information: managing behaviors, monitoring food, adapting physical surroundings, medication schedules or the preferences of a nonverbal child. Your child might be eligible for Supplemental Security Income (cash benefits for individuals with disabilities) so alimony and child support must be organized within your child’s benefit eligibility. A family law attorney will work with a special needs attorney and an experienced financial adviser to make sure you receive all of your child’s monetary entitlements. Child support payments can affect government benefit programs like SSI and Medicaid, so it’s critical to address these issues during the divorce process. With whom will the child live? How much contact will the non-primary parent have? Does the school district where the child attends have a residency requirement? Can the child make smooth or frequent transitions between houses? Does the child have access to the other parent at all times? Can the child be away from home/the primary parent for extended periods of time? If there is more than one child in the household, how will parenting time be split up? Who will pay child support and in what amount? When you think of custody in a divorce, it’s likely that children come to mind immediately, but what about pets? Nowadays, most people consider cats and dogs to be family members, rather than just another asset to divide up. We all love and care about our animals and don’t want to be without them, so how do we deal with custody? 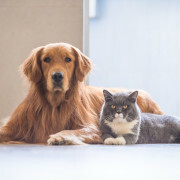 Since there is no actual law about pet custody in a divorce, this can be tricky, and the issue of pet custody can often cause almost as much drama and distress as custody of children. Who is living in the family house? If one of you is going to stay in the house your pet is used to, that might be a sign that they should have prominent custody. Pets, especially dogs, need space to run around and play. If one of you is moving to a small apartment, it is smarter and healthier for the dog to stay in a house with a backyard and space to be active. Who spends the most time with the pets? Consider who it is that takes the pet to the vet, who buys food and supplies, who takes the dog on a walk and who just generally spends the most time playing and caring for the pet. If one party is more involved with the animal than the other, it’s in the pet’s best interest for that person to receive full custody. It’s also normal for the ex-spouse who is awarded custody of children to receive custody of pets as well, since keeping family pets around establishes some normalcy for the children. Whose lifestyle is more conducive to caring for a pet? People who travel often for work or deal with a demanding job and long commute don’t have as much time to take care of their pets. If your lifestyle doesn’t have room for a pet, don’t risk neglecting your cat or dog and accept that your ex-spouse is a better caretaker for the animal. What is your motivation for wanting the pet? Think about it: Do you really want the pet or are you just trying to get custody out of resentment? While a cat or a dog is not the same as a child, they are still living things that deserve your affection and full commitment, so if you don’t really want the pet to live with you it is best that you don’t fight for custody. Is a joint-custody situation possible? In some cases, when both parties are equally dedicated, people can agree to joint custody over pets. This means that if you are the person with full custody and you go on a vacation or you’re unable to take care of the pet due to illness, you can rely on your ex-spouse as a pet-sitter. The situation ensures that your pet will always be taken care of by someone who loves them and never left alone for a long period of time. Should I Opt for a Prenuptial Agreement? We often associate prenuptial agreements with the short-lived marriages of Hollywood stars, but nowadays many “regular” couples are choosing to sign prenuptial agreements. In 2013, 1,600 members of the American Academy of Matrimonial Lawyers were surveyed and 63 percent reported an increase in prenuptial agreements over the course of three years. Though, a prenup is not the most romantic thing in the world, this document can protect both parties in the event of a divorce, or the death of a spouse. Prenuptial agreements can prevent nasty, expensive court battles and protect each spouse’s premarital assets from being claimed by the other spouse. It was also protects the income and assets that are acquired during the course of the marriage. Without prenuptial agreements, a party may have to pay child support or alimony, but a prenuptial agreement can establish an agreed amount or eliminate it completely from becoming a cause for litigation in the future. A prenuptial agreement can, of course, be difficult emotionally. However, it is nowhere near as emotionally corrosive as the pain that can be caused by an ugly divorce, especially when there are children involved. Enduring this emotional discomfort early on can prevent years of devastating later on. Prenuptial agreements have been suggested to strengthen a marriage, since it allows each spouse to become aware of where they stand financially. This benefits an individual by providing them with some protection against the unknown of the future. The rights of children from the marriage or relationship can be protected through a prenuptial agreement, and you can even decide how to handle individual financial debts like student loans or credit card bills. In a first marriage, a prenuptial can create permanent friction between spouses and families. Some prenuptial agreements are unnecessary, too broad and mean-spirited, often welcoming marital selfishness and creating a destructive atmosphere. Prenuptial agreements often occur on an uneven playing field, where one spouse has significantly more money or assets than the other. This can lead one spouse to feel selfish and unkind and the other to feel like the victim of an unfair agreement. The initial prenuptial agreements can be harsh, most state the each party’s past and future assets and income belong to the party alone, except for intentional joint property. This agreement has no inheritance requirement if the couple is still married when one partner dies and there is also often an alimony waiver. Furthermore, a prenuptial agreement can increase the belief that you and your spouse aren’t fully committed to making the marriage work even when things get difficult. Approximately 75 percent of American marriages end in divorce, so a prenuptial agreement is a realistic decision to make rather than a romantic one. If you want to protect your assets and finances and avoid heartbreak, grief and stress, a prenuptial agreement is an extremely wise decision to make. Keep in mind that both parties must voluntarily enter into the agreement in order for it to be valid and that no prenuptial agreement can violate criminal law or public policy.